Brunhilda the Valiant. Right now, her toenails are painted blue to match her war paint. Nate, I love the armored hat! I know it's meant to be a gnome hat, but it makes me think of the peaked hats that ladies wear to jousts in movies about King Arthur or Robin Hood. Having that hat armored but still with flower patterns on it is a great subversion of assumptions. This could totally be a story about a tough princess if it weren't part of the gnome series. A proud member of a GNavy SEAL team. Using catapults they fly deep behind enemy lines yard-dart style. Huh--I thought of Brunhilda too (before checking the comments). Pip Squeak, Girl Warrior. Her big sister is out for the day so Pip decided to take matters into her own hands when that silly dragon came back around. 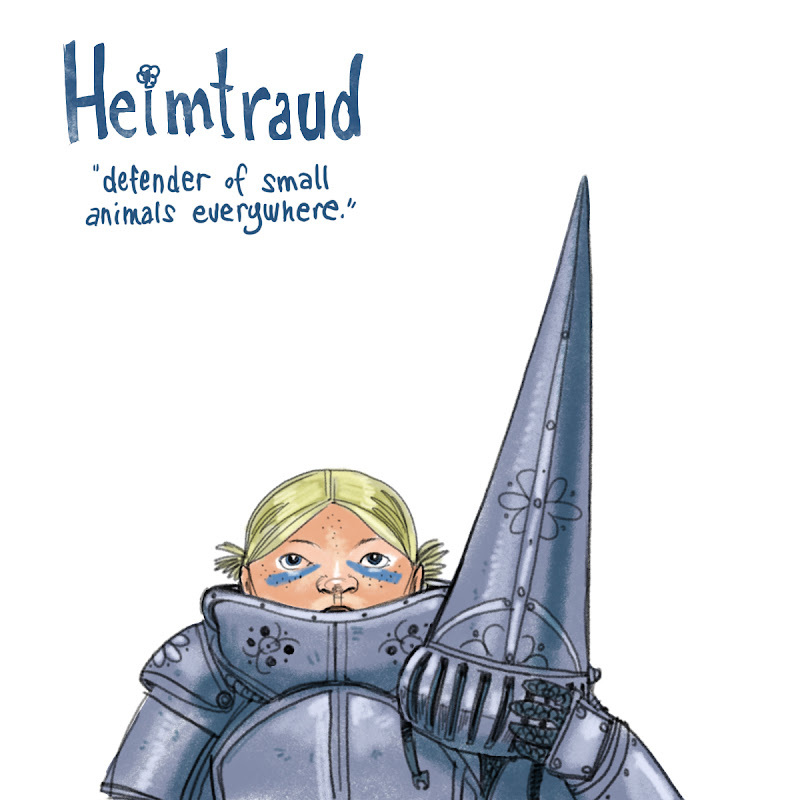 Jessica says, "Ragnfrid" or "Heimtraud." Imogene. she fights against the injustice of early bedtimes.